Marine debris is choking our oceans, creating a devastating impact on marine ecosystems world-wide. Marine debris is harmful to marine life and can have catastrophic and often fatal results. It can cause injury or death through drowning, entanglement or starvation following ingestion. 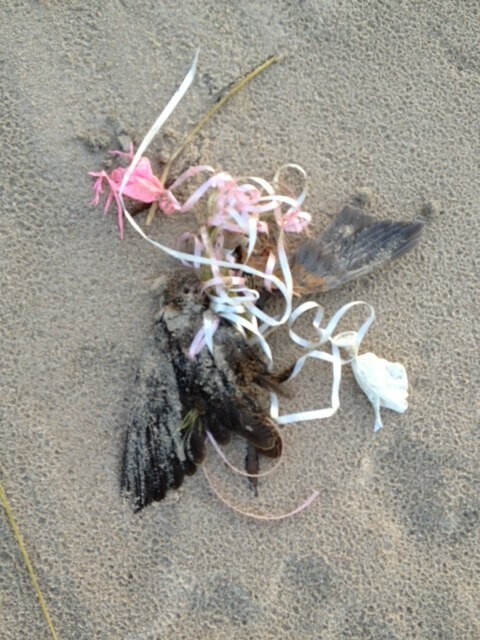 Birds, sharks, turtles, dolphins and whales are the innocent victims of marine debris. The World Economic Forum stated in January 2016 that there will be more plastic than fish in the ocean by 2050. We can’t do this alone. Join us to protect and conserve our marine environment, preventing and removing the unprecedented amount of marine debris entering our oceans and waterways. "On land and in the sea, our fore-fathers lived and survived in this environment. They were able to do so because they recognised the need to conserve it, to take from it only what they needed to live, and to preserve it for succeeding generations." Marine debris (or marine litter) is defined as any persistent, manufactured or processed solid material discarded, disposed of or abandoned in the marine and coastal environment. Marine debris includes consumer items such as glass or plastic bottles, cans, bags, balloons, rubber, metal, fibreglass, cigarettes and other manufactured materials that end up in the ocean and along the coast. It also includes fishing gear such as line, ropes, hooks, buoys and other materials lost on or near land, or intentionally or unintentionally discarded at sea. Marine debris is globally recognised as an environmental concern. It is a danger to all marine life including birds, sharks, turtles and marine mammals, causing injury or death through drowning, entanglement, or starvation following ingestion. 44% of marine mammals and 86% of turtle species are estimated to have plastic in their guts. 80% of seabird species ingest plastic, 90% of birds in those species had plastics in their gut. 99% of the world's seabirds species will be ingesting plastic by 2050 if current marine pollution trends continue. 8 million metric tonnes of land-based plastic goes into the oceans each year, the equivalent of 16 shopping bags full of plastic for every metre of coastline (excluding Antarctica). By 2025 it is estimated there will be enough plastic in the ocean (on their most conservative estimates) to cover 5% of the earth’s entire surface in cling wrap each year. more plastic in the ocean than fish by 2050. Marine debris is a globally recognised environmental issue as marine ecosystems around the planet are increasingly affected by human-made refuse, much of which is plastic. Plastics production has surged over the past 50 years, from 15 million tonnes in 1964 to 311 million tonnes in 2014, and is expected to double again over the next 20 years. Plastic items breakdown as they enter the natural environment but they don’t disappear. They do not biodegrade, instead, many smaller pieces disperse and commonly enter marine and coastal environments. The silent killer of all the plastics comes in the form of minute remnants, broken down from everyday products. Mostly unseen, they are known as microplastics - or plastic particles smaller than five millimetres in size. 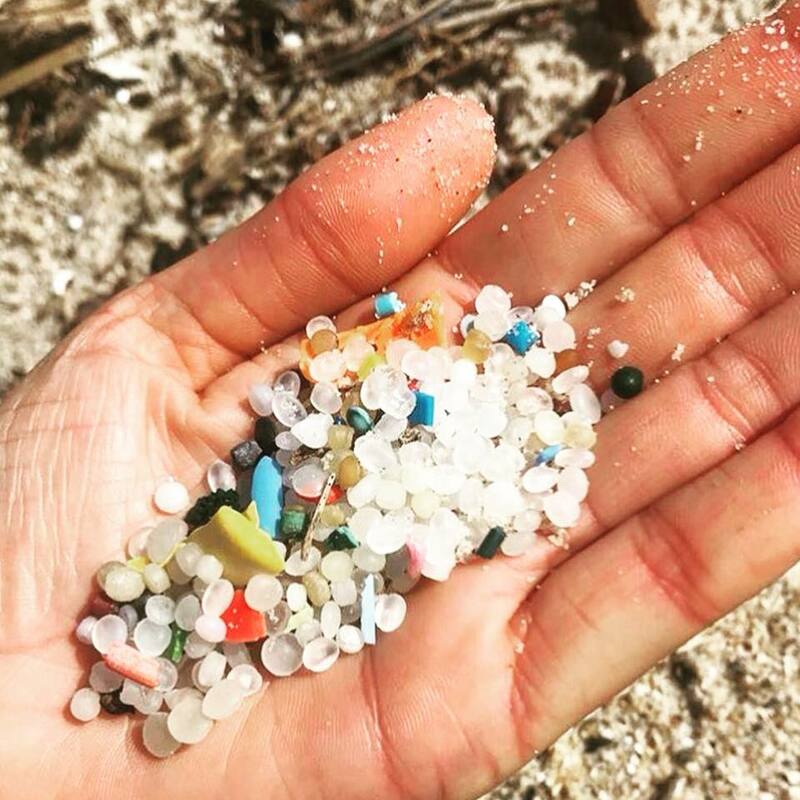 Microplastics pose a massive environmental and human health risk when they enter waterways and oceans. These microplastics absorb man made toxic particles in the ocean, such as PCBs, DDT, BPA and methyl mercury. The harmful effects of these toxic particles (such as PCBs and DDT) intensify as they are passed up the food chain and are quickly becoming, not only a threat to marine animals everywhere, but also a serious health risk to seafood consumers the world over. Microplastics have several sources: They're laundered from nylon clothing; they wash down the drain with many cosmetics, exfoliating scrubs and toothpastes; and they weather from debris like plastic bottles, plastic packaging and bags. Learn more about the action that we’re taking to reduce the UAE’s reliance on single use plastic, as well tips for how you can reduce your personal usage, via the pages below. Stay tuned for more resources coming soon! Don’t forget to tag AZRAQ and make full use of our hashtags on social media… let’s start a conversation! Marine debris is the most common man-made object sighted at sea with 18,000 pieces of plastic litter reported to be floating on every square kilometre of the world's oceans, outnumbering sea life at a ratio of 6 to 1. Each year millions of tonnes of marine debris enter our oceans and waterways injuring and killing more than a million birds and 100 million marine animals (including fish, turtles, whales) through entanglement, suffocation and ingestion. Toxins including DDT, BPA and methyl mercury adhere to microplastic particles, and then enter the food chain when ingested by aquatic life, accumulating in birds, fish, marine mammals and potentially humans. The time for action is now, we have no choice but to act. The Marine Debris Campaign brings together the efforts of volunteers and the community to keep beaches and waterways cleaner and safer for marine life while collecting data for national analysis. Volunteers involved in Azraq are committed to promoting and facilitating family friendly coastal and river clean-up activities in support of the protection and conservation of their local marine environment. Participants collect, sort, catalogue and record every piece of debris collected. The database is accessed by scientists and researchers to determine the top debris items and hot spots around the coastline for rubbish. We invite you to join us and be part of the solution. All clean-up events are detailed on our events calendar or our Azraq Facebook page. Join the Marine Debris Team. Passionate people are encouraged to join our team. Volunteers are notified of any scheduled clean-ups being organised. Interested volunteers can email admin@azraqme.org for further information. If you would like to volunteer at one of our public beach cleans check the events calendar or our Facebook page.